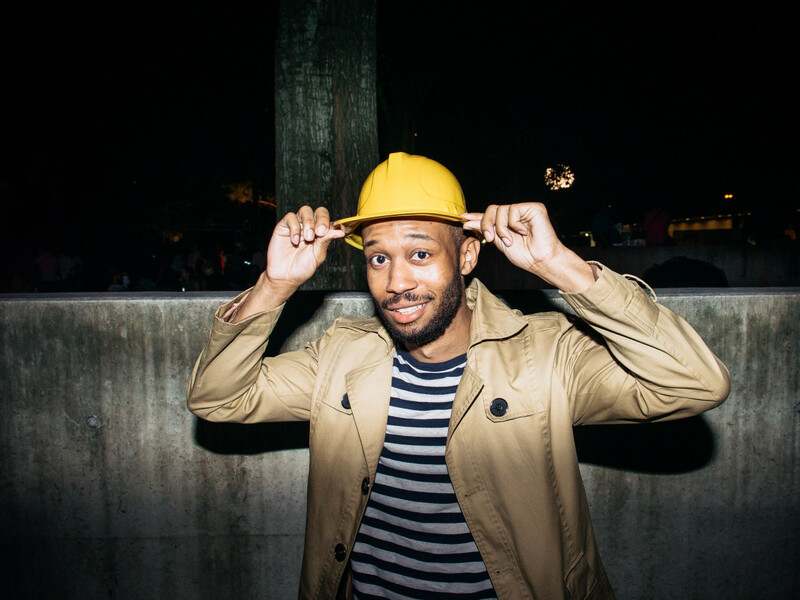 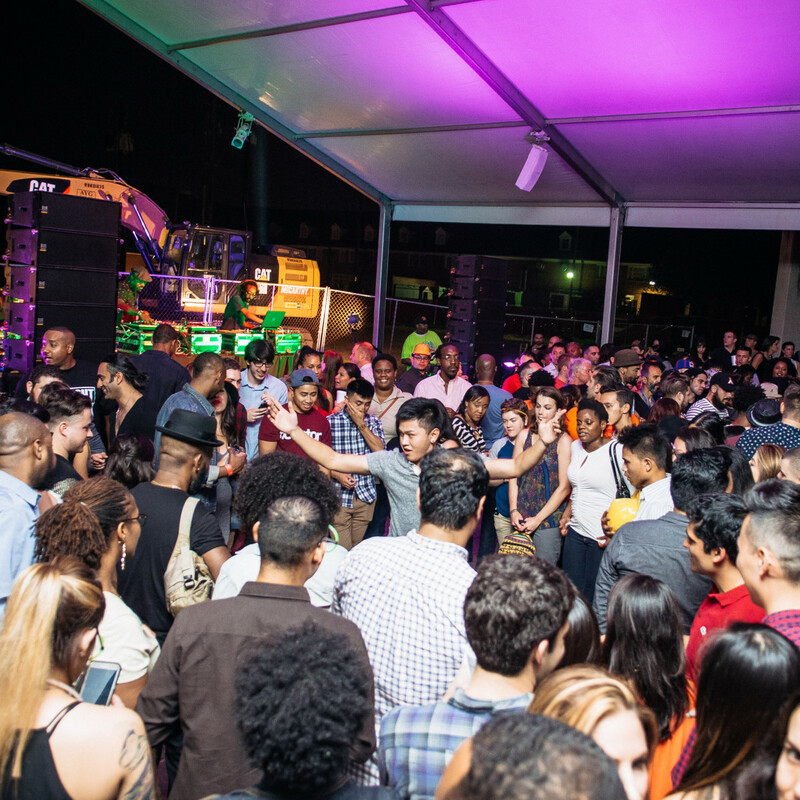 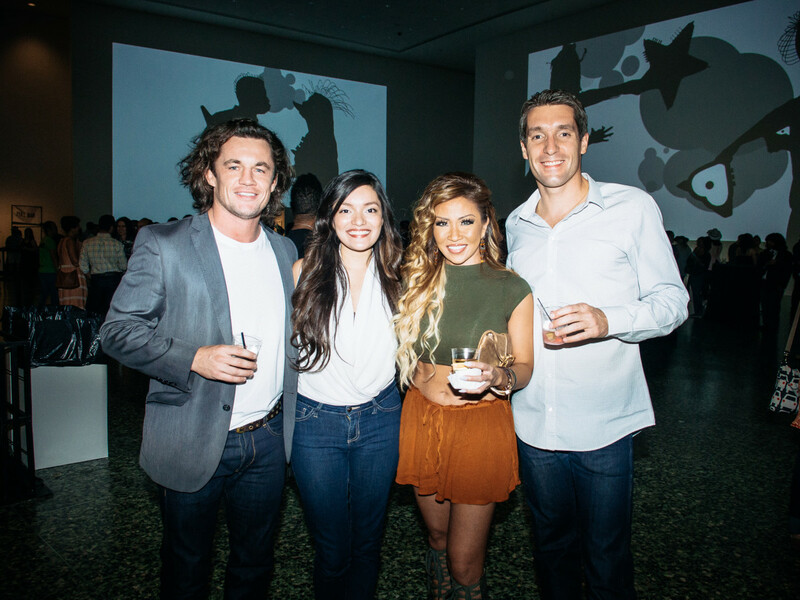 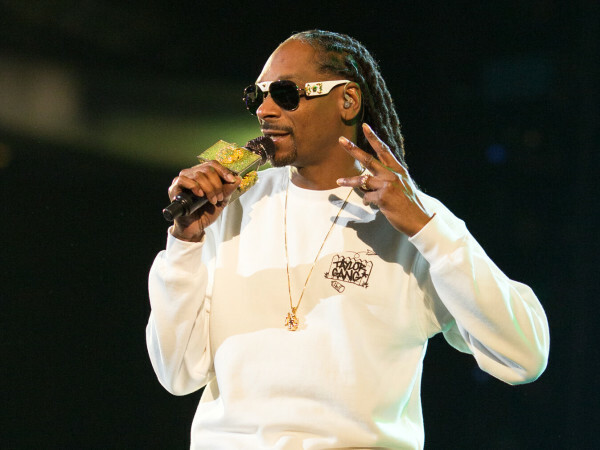 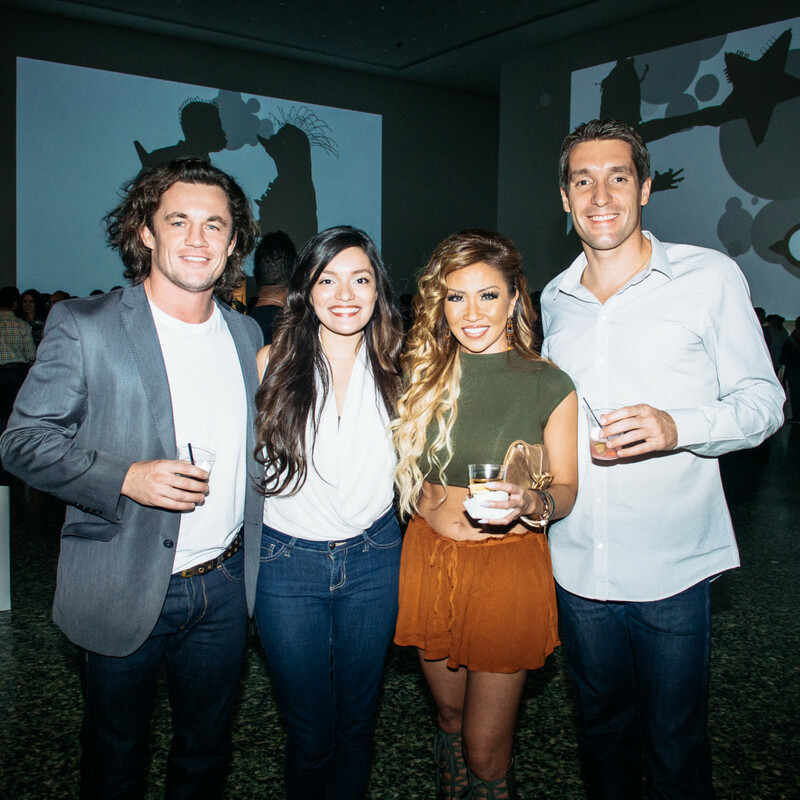 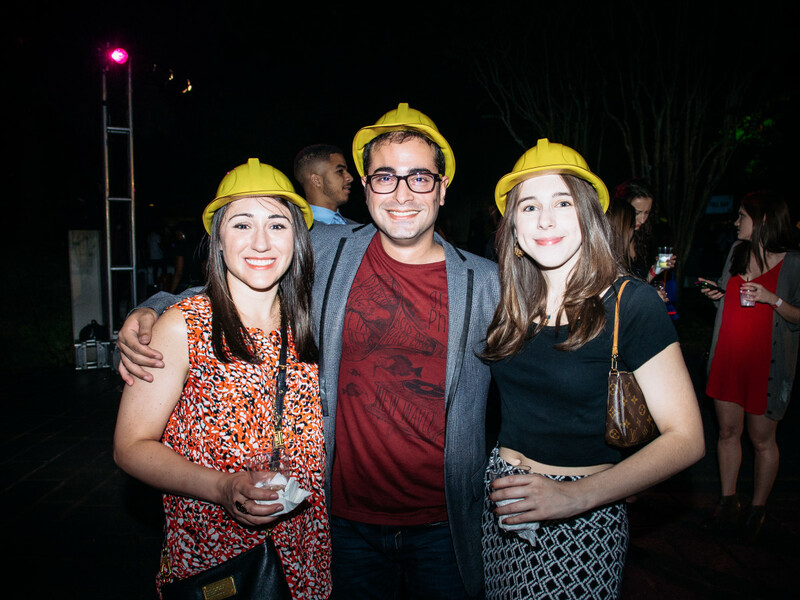 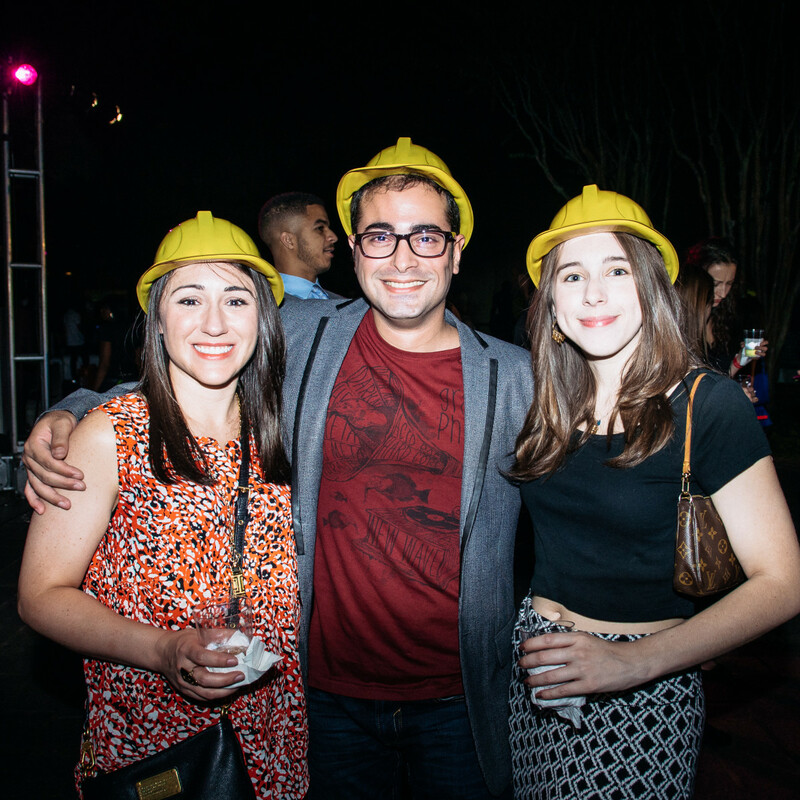 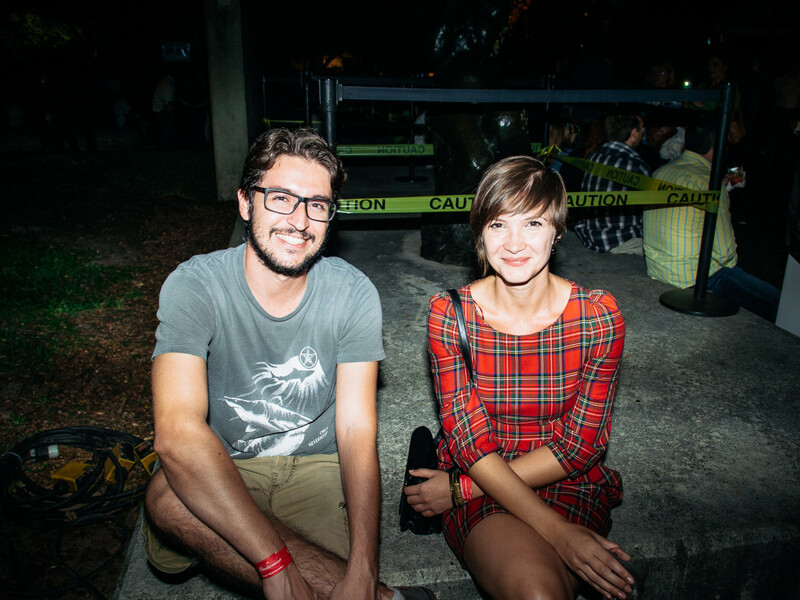 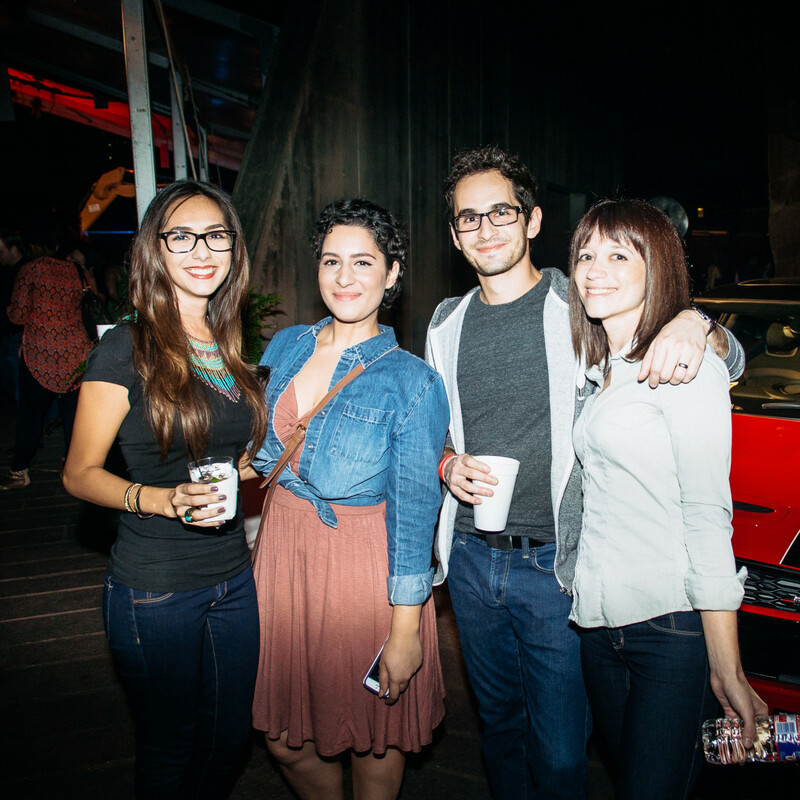 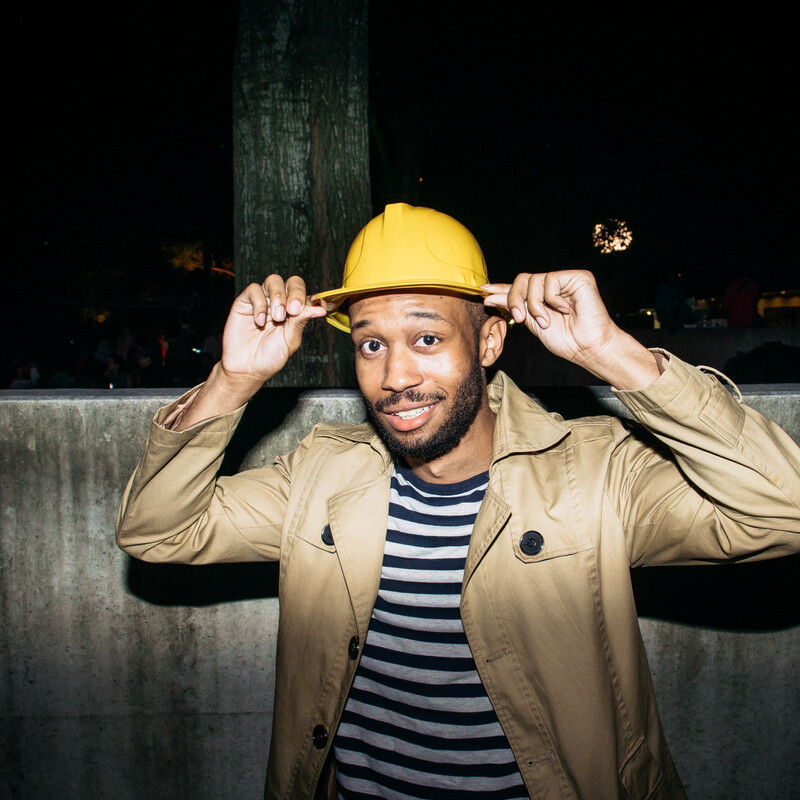 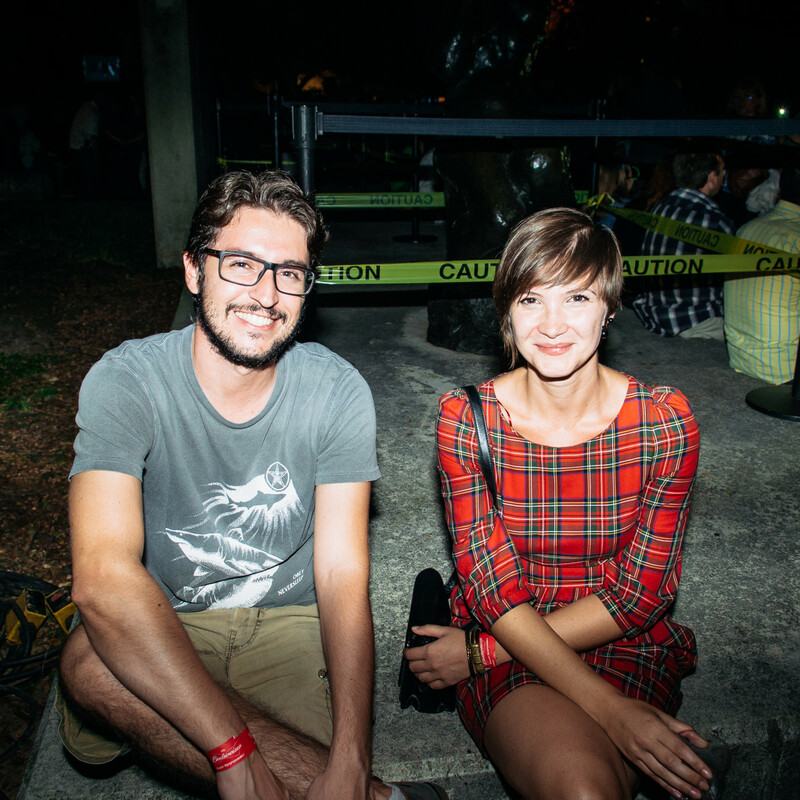 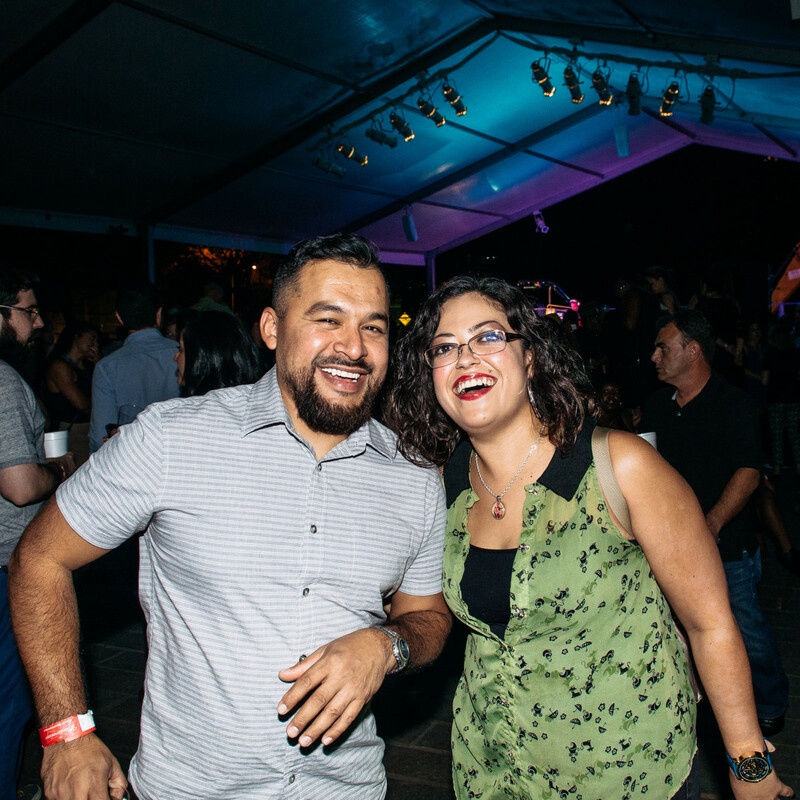 The sophisticates and big-time donors celebrated the ground-breaking for the Museum of Fine Arts, Houston's new Glassell School of Art on one morning and the following night 5,000 hipsters descended on the site for a mammoth block party. 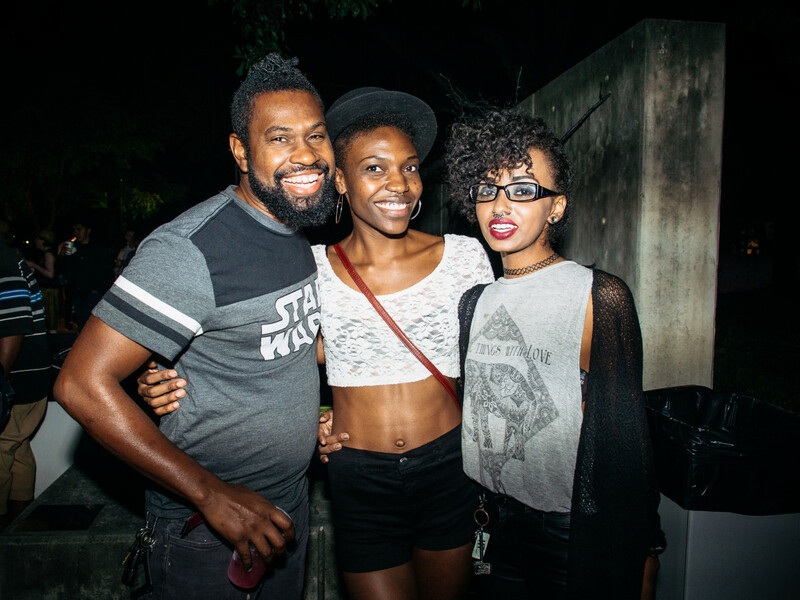 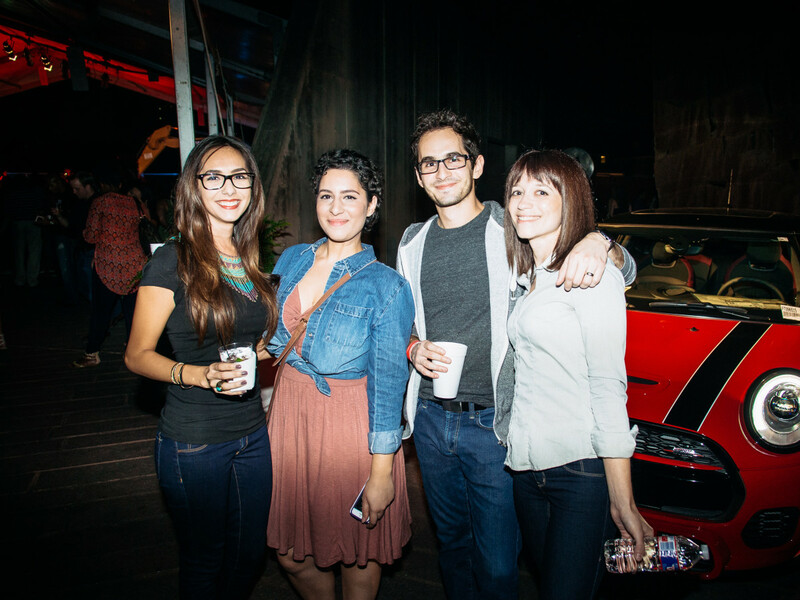 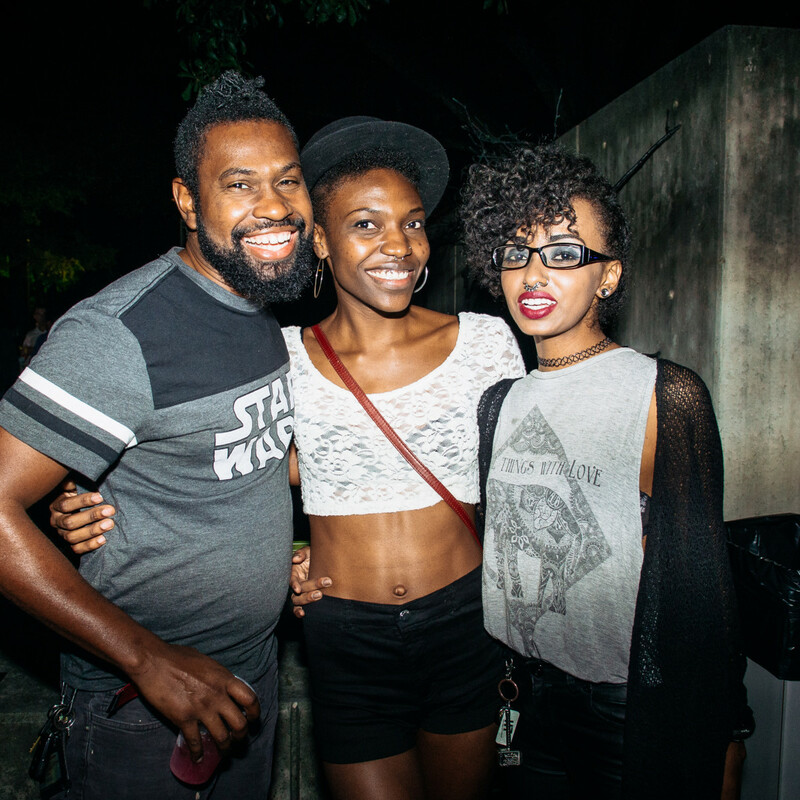 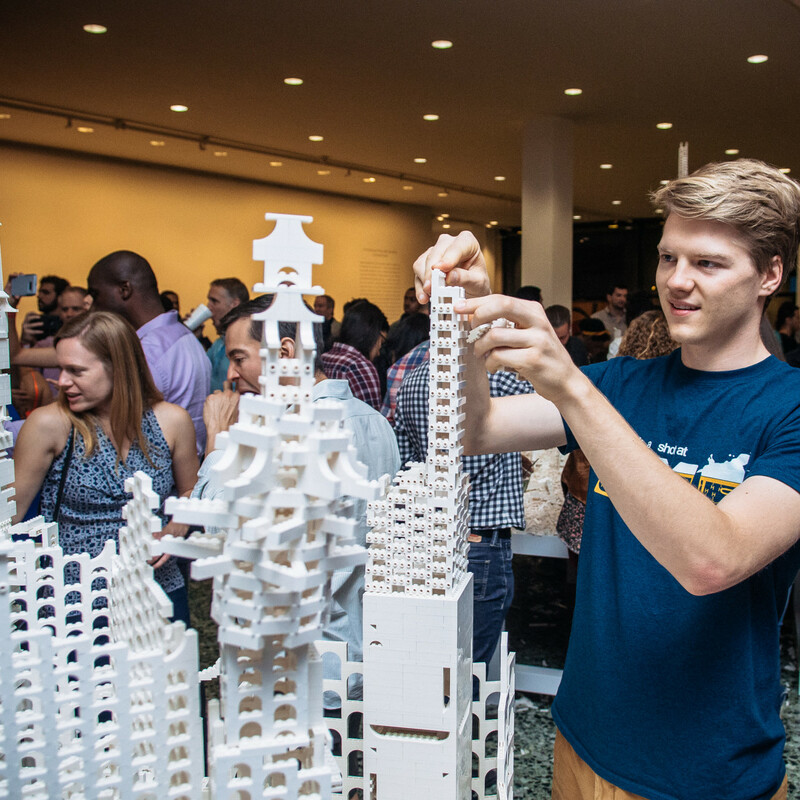 This free evening in the museum's series of Mixed Media nights, complete with DJs, art viewing, intelligent party games and food trucks, was a major hit for the museum. 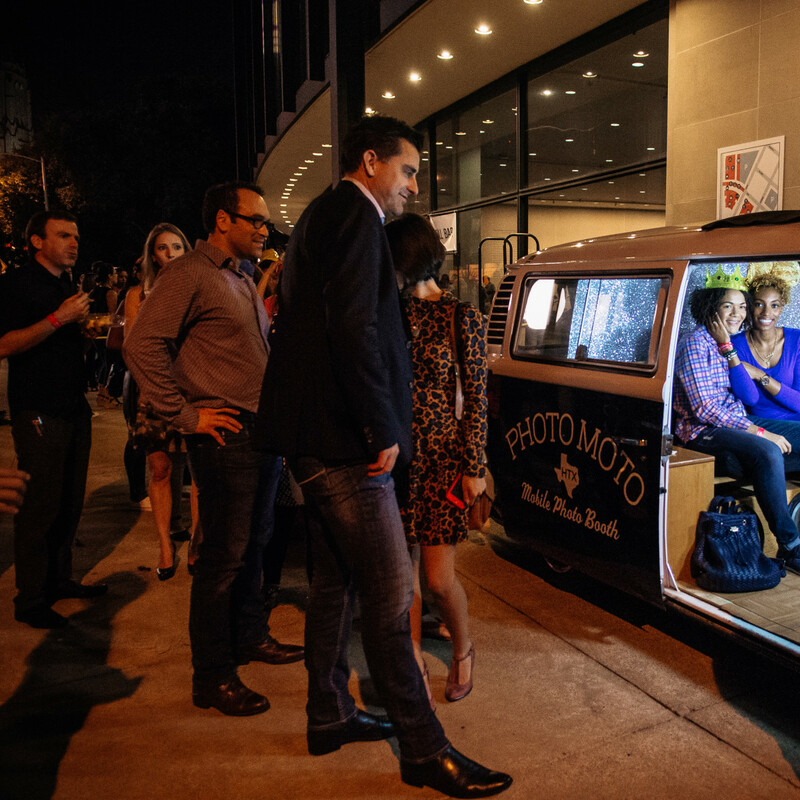 Nine food trucks lined Bissonnett, which was closed to traffic between Main and Montrose while party central was beneath the Beck Building porte cochere where wine was served by the new MFAH Café. 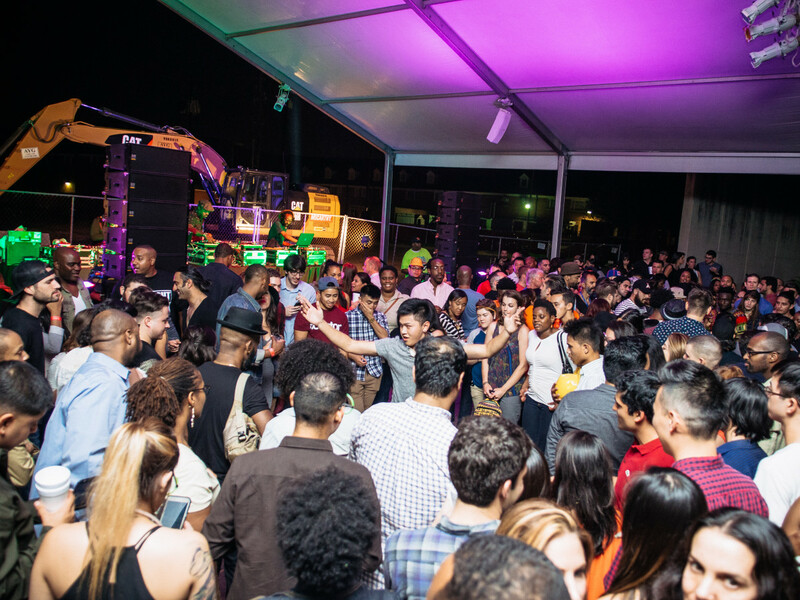 The party fun continued with two photo booths — PhotoMoto and Smilebooth — and DJ action in a vast party tent where DJ Sun, DJ Chicken George, and DJ Melodic kept the night loud and lively. 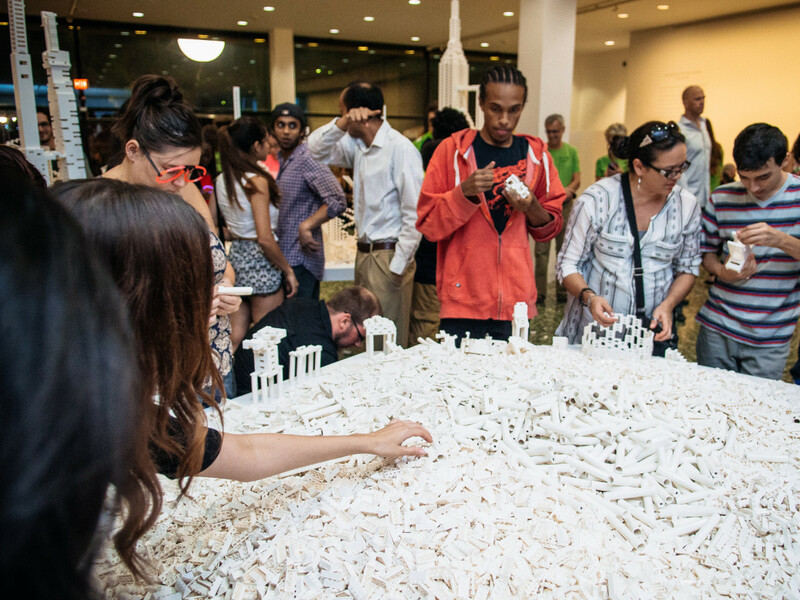 And then there was The collectivity project, a human-scale artwork by Danish-Icelandic artist Olafur Eliasson. 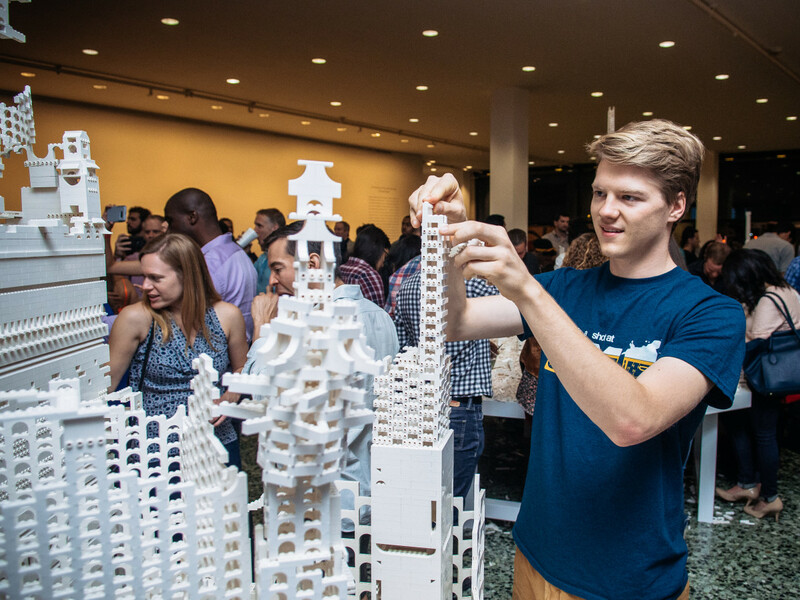 Guests were able to build and rebuild structures, using more than 580,000 white Lego bricks to create an imaginary cityscape. 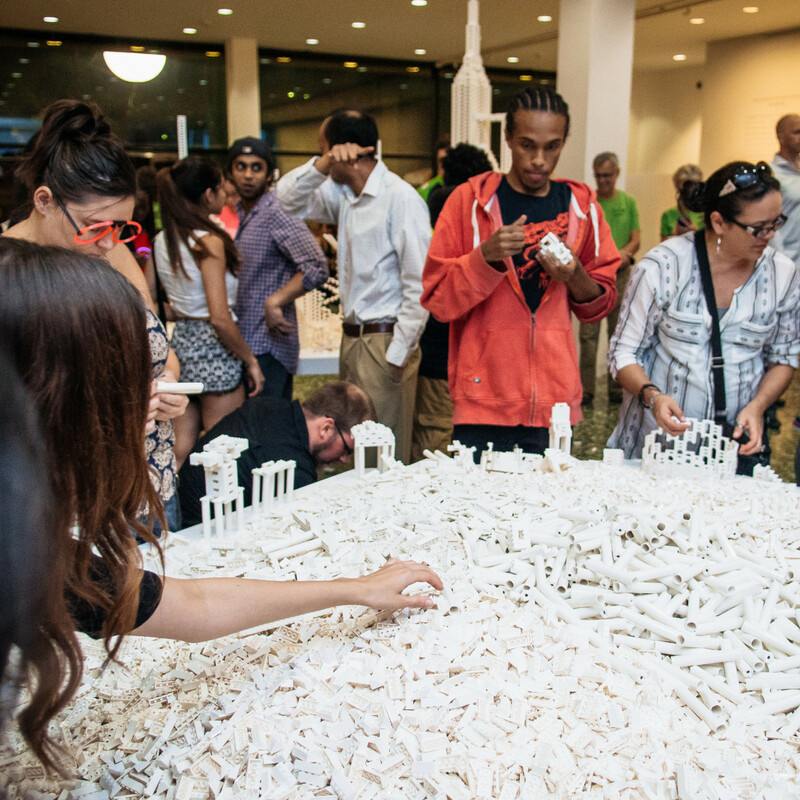 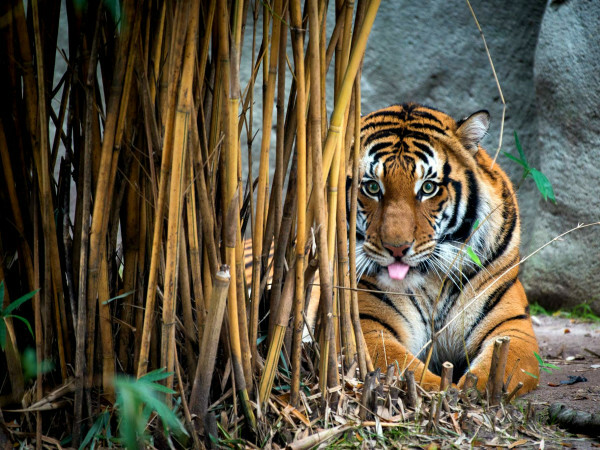 That playful gem remains at the museum through January 31, 2016. 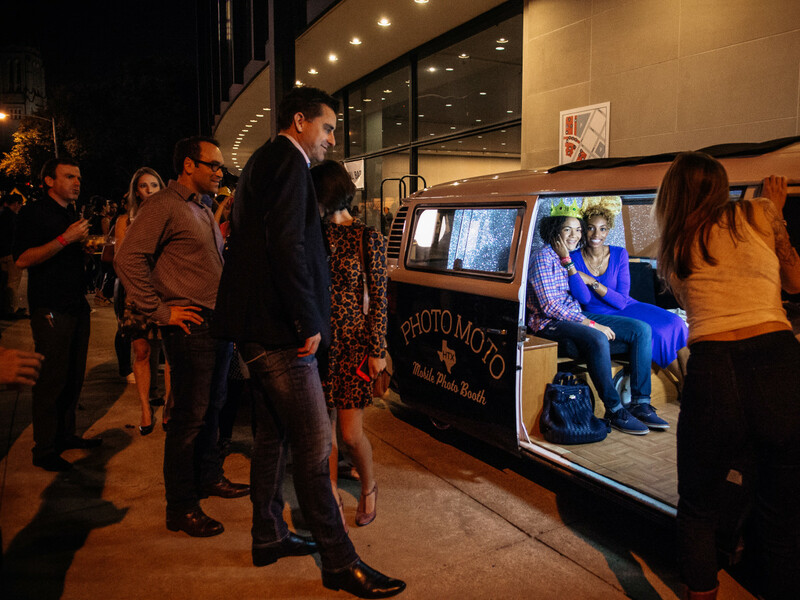 Keeping the MFAH mission of sharing art with all of Houston, there was easy access for partygoers to the museum’s Law and Beck buildings, where the exhibitions Mark Rothko: A Retrospective and Shadow Monsters are currently on view. 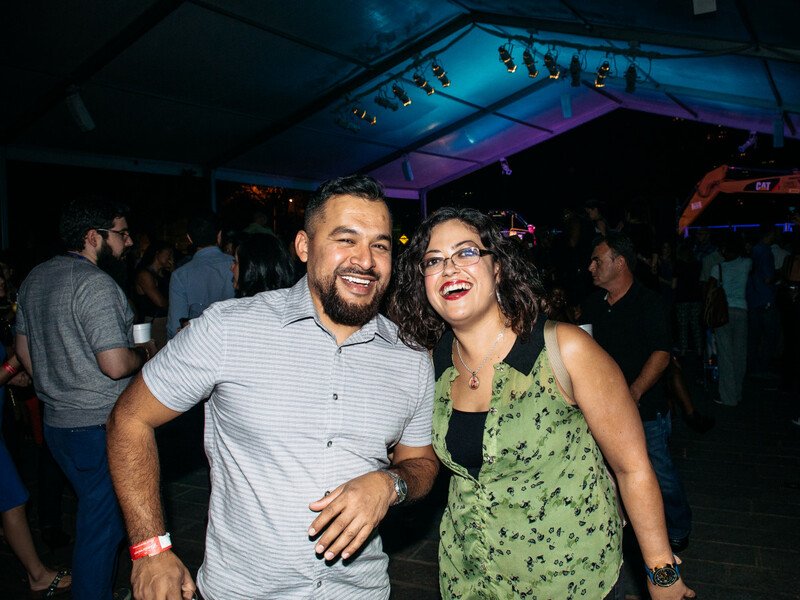 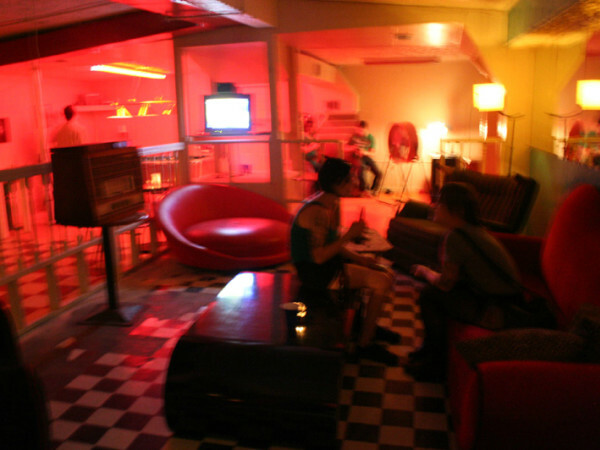 Scenesters included Tom Baxter, Jennifer Ramos, Melanie Vopham, Trae Brown, Blythe McKay, Juan Escoto, Annaisa Alvarez, Ali Lichty, Hadi Shams and Alexandra Alonso.